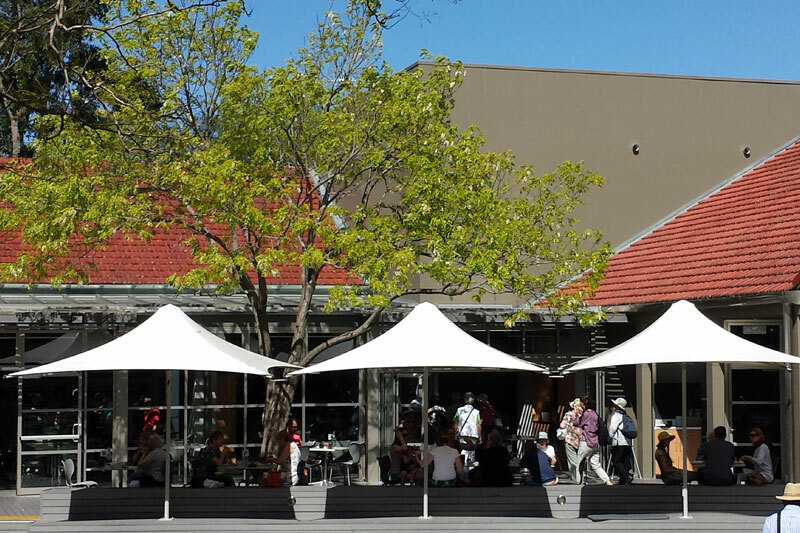 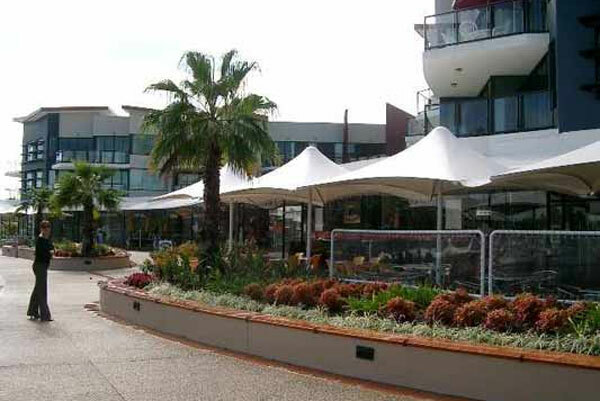 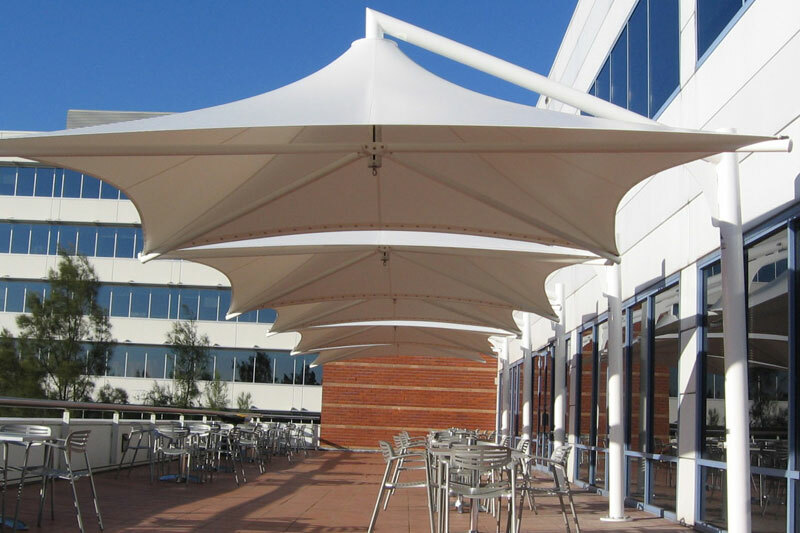 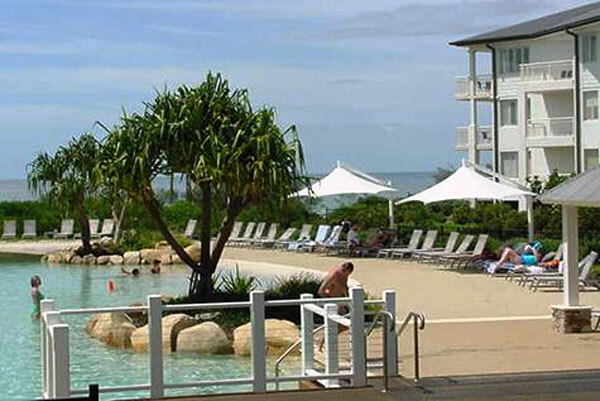 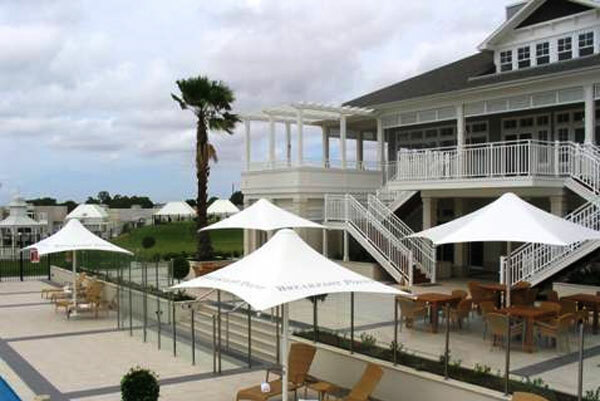 Ferrari Umbrella standard canopies are constructed out of translucent architectural grade PVDF lacquered PVC coated polyester fabric that is waterproof and UV and stain resistant. 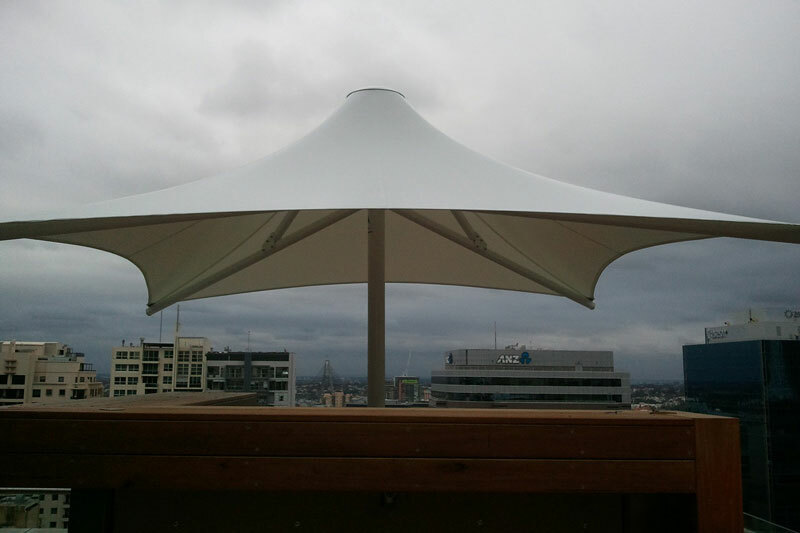 Other fabric options and colours are available. 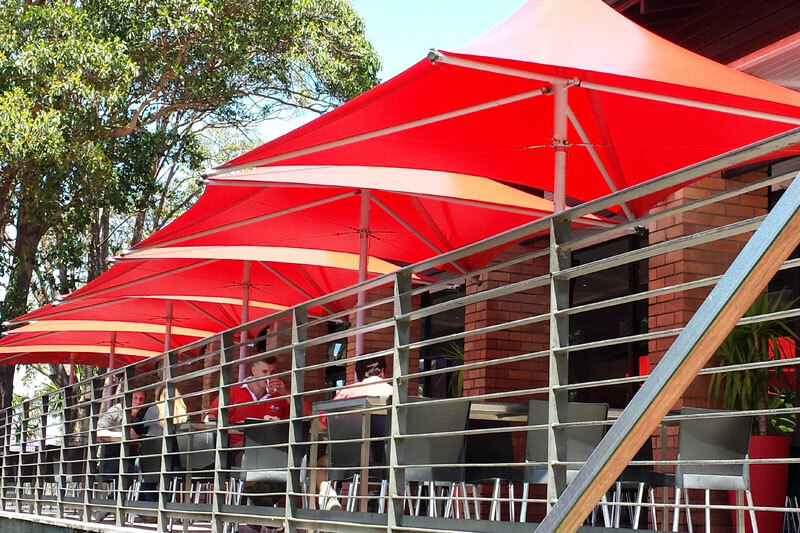 All Ferrari Umbrella aluminium components are constructed from the highest quality structural grade aluminium for a longer, low maintenance life. 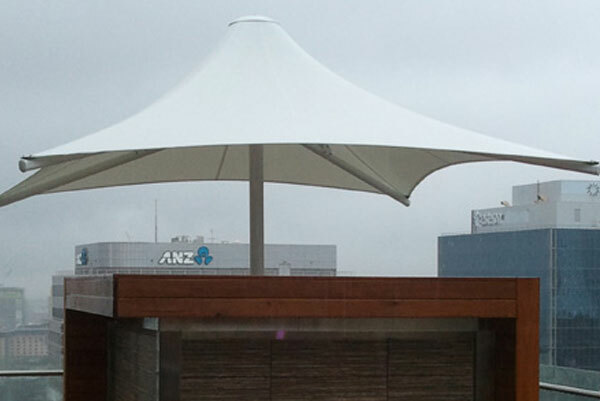 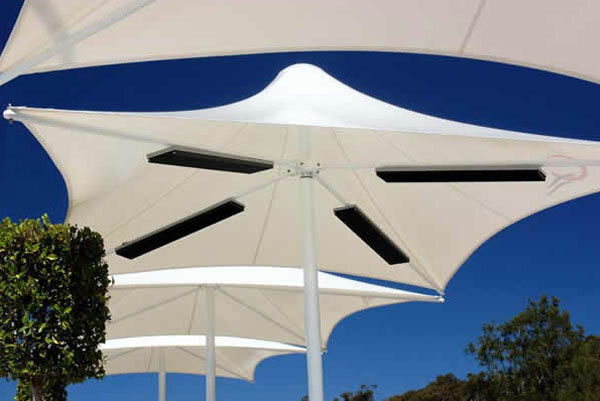 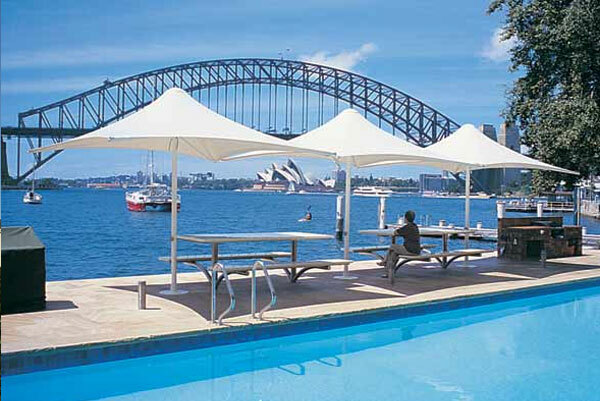 Ferrari Umbrella Standard framework is powder-coated white for a clean, polished finish and look. 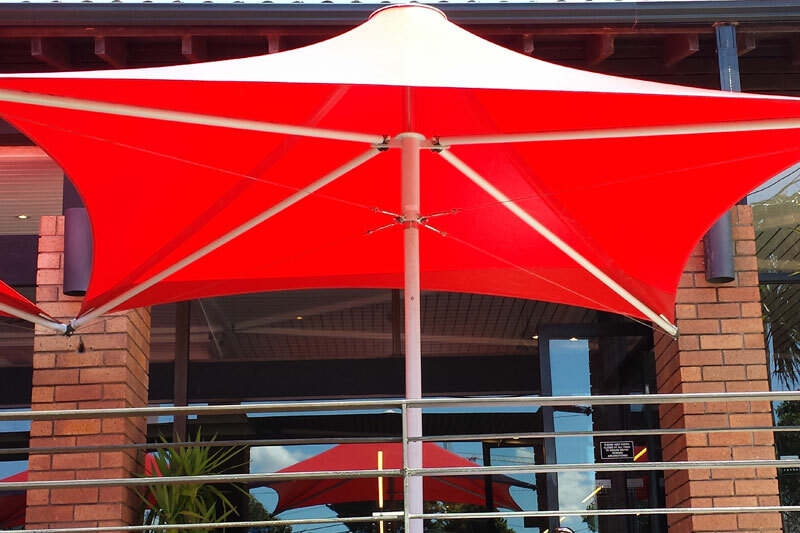 A complete range of powder-coated colours are available. 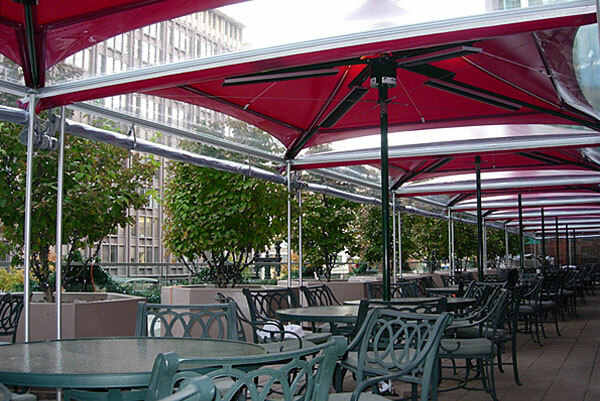 Ferrari Umbrella unique and innovative anti-jam geared mechanism (with removable handle to prevent tampering) makes opening and closing the canopy a breeze. 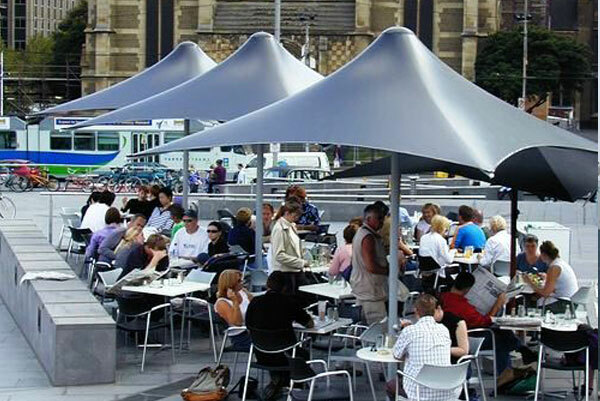 Ferrari Umbrella canopy has a stainless steel edge cable concealed in fabric pocket to give consistent and even tension and to prevent inversion. 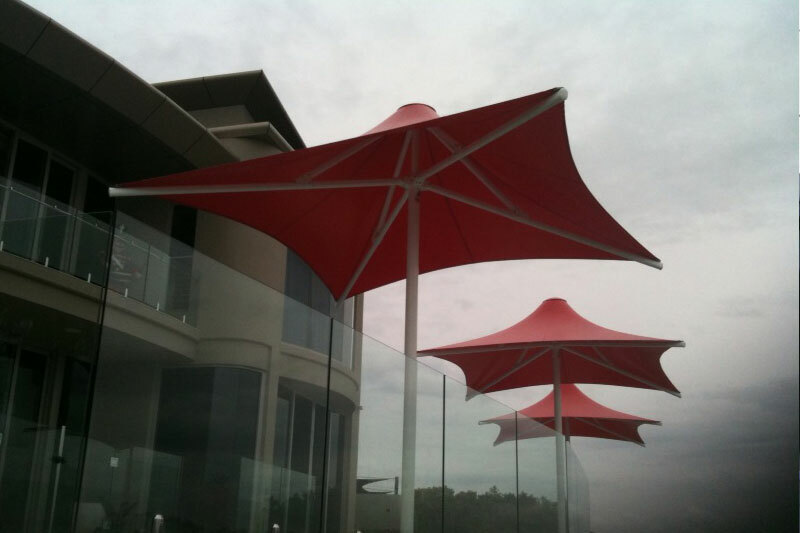 Ferrari Umbrella Low voltage cabling for up lights and down lights are channelled out of sight within the mast itself. 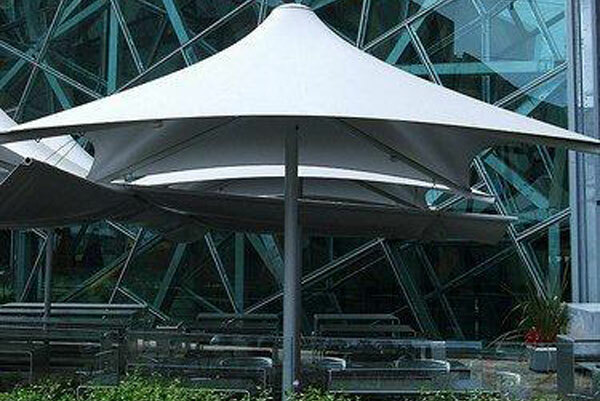 Ferrari Umbrella wind ratings up to 112km/h are available.